The CySeP Summer School will be held at the main campus and its "Q building", Malvinas väg 6 (the old "Osquldas väg"), Stockholm, Sweden. The auditorium is Q1, at the 3rd floor, will be used for all plenary presentations and break-out sessions will be in rooms Q31, Q33, and Q34. Midnight Sun CTF will be in rooms Q31, Q33, and Q34. You can see the KTH campus map (in PDF format, with a path from the subway exit to the venue on page 2), to help you navigate from key nearby points. You will see signs that guide you from the subway station to the venue beside the road. Please see a city map and the location at the bottom of the page. The Flygbussarna company runs a coach service between the Arlanda airport and the Central Stockholm (T-centralen bus and metro station). The journey takes around 40-50 minutes and is one of the cheapest ways to and from the airport. Bus stops are just outside the airport terminals. Price is around 120 SEK for one-way ticket. Check the Flygbussarna site for more information and online booking. There are machines at the terminals and you can also buy a ticket from information kiosk, once you are out of the luggage area. 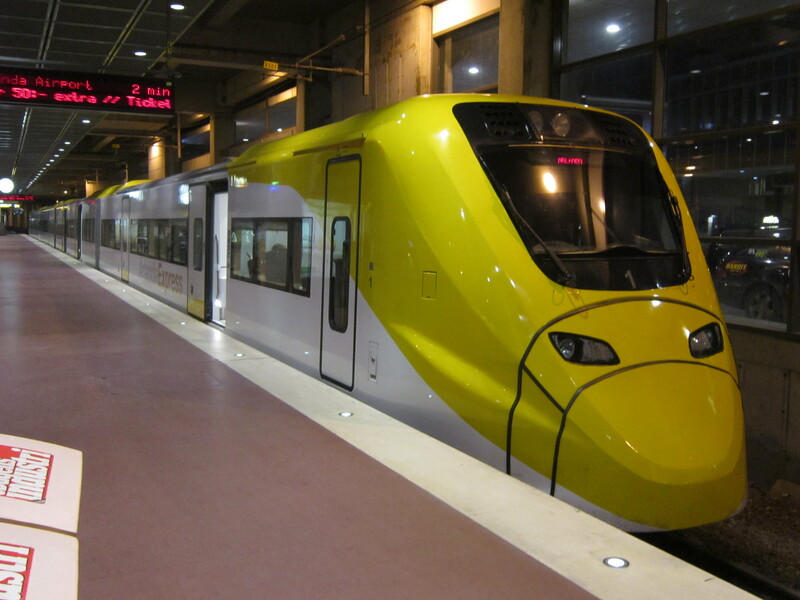 Arlanda Express is a rail link connecting the Stockholm Central Station and the Stockholm-Arlanda Airport outside Stockholm, Sweden. The trip takes 20 minutes and runs four to six times per hour. The price is around 280 SEK for a one-way ticket or 540 SEK for a round-trip ticket. Please check the Arlanda Express site for more information and online booking. There are machines at the terminals; you can also buy a ticket at the information kiosk, once you are out of the luggage area. To travel around Stockholm you can use buses or the underground railway (subway). You can use the same kind of tickets on both the buses and the subway. There are travel cards for 1 day (115 SEK), 3 days (230 SEK) or 7 days (300 SEK) to use in Stockholm. You can also buy a single ticket before boarding the bus or subway. You cannot purchase a ticket onboard the buses. The Journey Planner (mobil.sl.se) could helps you find the quickest route between two addresses or stations. For more information about the public transportation in Stockholm, please visit SL Customer Services.